It’s funny how things can just hit you right out of the blue. My wife and I were driving in town recently, when a pick up truck going the other way went by. In the back was one of those small plastic kitchens, typically aimed at five-year-old girls. You wouldn’t think something like that would have the power to induced tears, but it did. For those readers who do not know, we have a severely disabled 12-year-old daughter. She cannot sit up, or hold a toy, or talk, or feed herself. She breathes through a tube, and eats through another one. 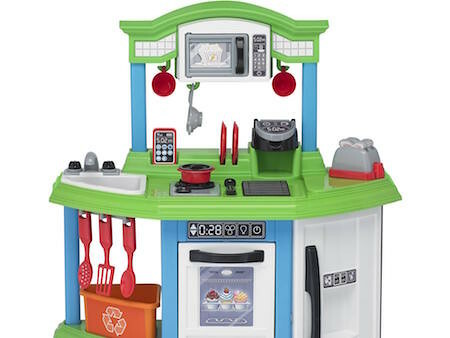 When I saw what was in the back of the truck, I said something to my wife about the plastic kitchen, and she said, “You mean like one The Princess can never use?” We both had to stop talking as tears welled up in our eyes. You never know when something will hit you like that. You never know when something you say will have an unexpected meaning for someone else. I had a teacher who used to say, “Meaning is not in words, it is in people.” I have come to realize that meaning is not just in people; it’s in people’s hearts.